Getting to Dubai Parks and Resorts is easy using Public Transportation. You can choose to get here using any of the below options. Take the DPR1 Bus from Ibn Battuta Metro Station to Dubai Parks and Resorts. The bus departs 13 times a day from the Metro Station and costs AED 5 for a journey. The RTA Bus Schedule from Ibn Battuta Metro Station to Dubai Parks and Resorts is listed below. 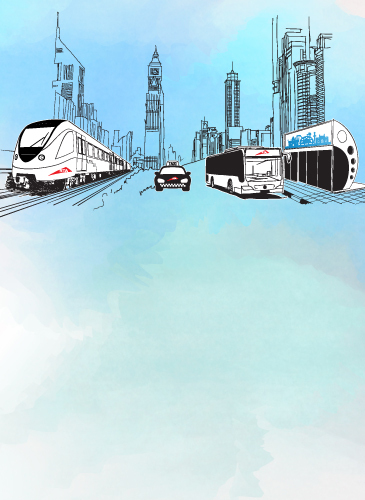 Take the Dubai Metro Red Line towards Jebel Ali (UAE Exchange Station) and alight at JLT Metro Station. From there, take the RTA Shuttle Bus to Ibn Battuta Metro station. From there, catch the RTA Bus - DPR1 to Dubai Parks and Resorts. The cost of the bus journey is AED 5. Getting to Dubai Parks and Resorts by car is easy no matter where you are coming from. Plenty of parking spaces are available at the destination and our General Parking is free of charge. Make your journey to Dubai Parks and Resorts carefree with helpful transportation and parking information in the following links. From Abu Dhabi drive down Sheikh Maktoum Bin Rashid toward Dubai. When you cross the border into Dubai this road is called Sheikh Zayed Road. Take Exit 5 to Dubai Parks and Resorts. Click here for more parking related information. Take the Dubai Metro Red Line towards Jebel Ali and alight at JLT Metro Station. From there, catch a taxi for the short distance to Dubai Parks and Resorts. The taxi fare will be approximately AED 40 (USD 11). Alternatively, take the RTA Shuttle Bus from JLT Metro Station to Ibn Battuta Metro station and catch the DPR1 - RTA Bus to Dubai Parks and Resorts.